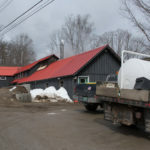 Here in Vermont the snow is receding and water opening up. 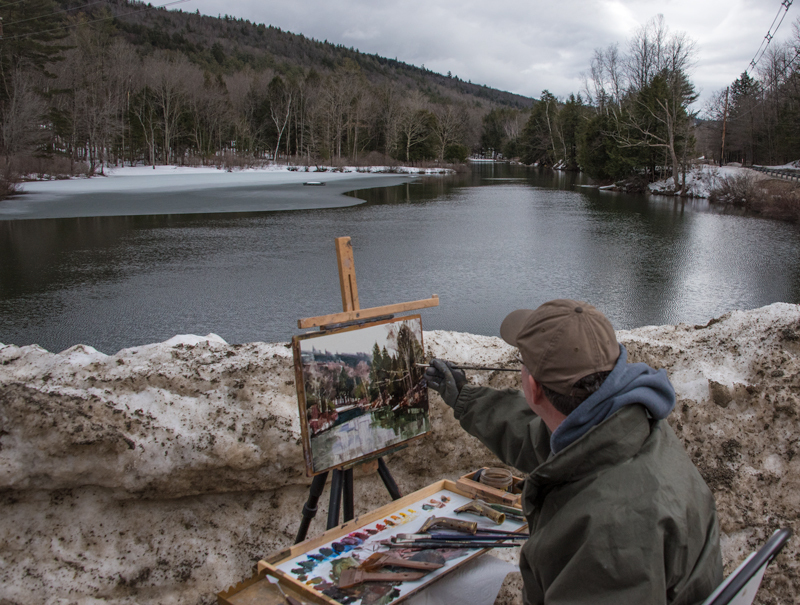 In spite of the still chilly temps, I ventured out for a day of plein air painting last week. 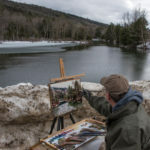 I set up next to Green Mountain Sugar House on Rt 100 in Ludlow to capture this nice view of Lake Pauline. 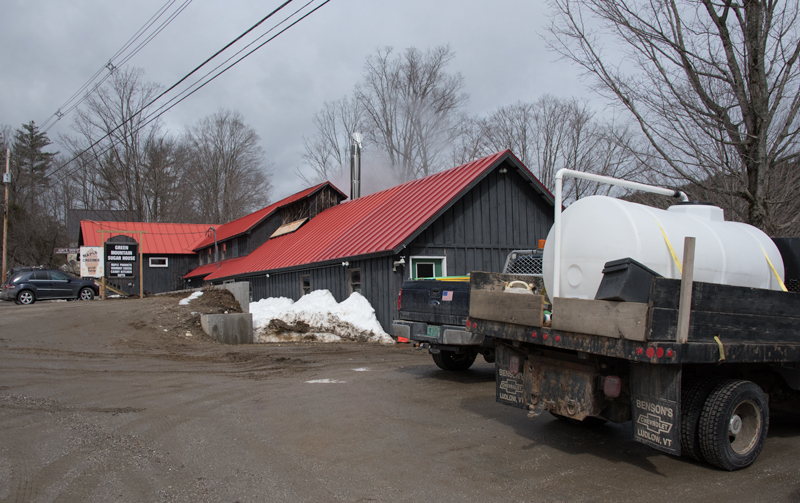 When finished, I got a sample of fresh maple syrup straight from the boiler pan. Sweet! Beautiful texture to the water, and contrast with sky. I do like this one. As usual, you commentary is as good as the painting. I can feel spring in the air at Lake Pauline. It takes a real talent to successfully capture the subtle difference between the appearance of spring ice on partially open water versus the look of “similar, but different” cloud reflections on a tranquil ice-free pond. Nicely done! Very nice Peter. I just love the color variations. So warm and spring like. 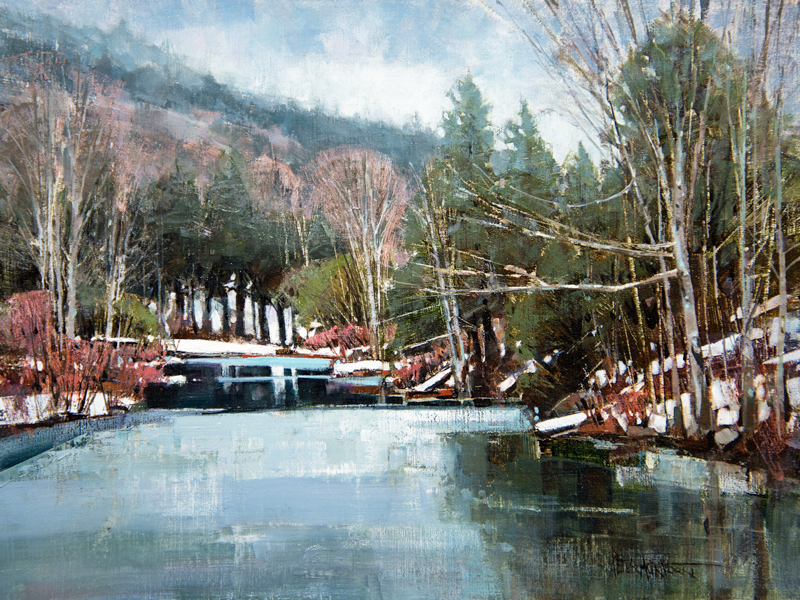 Growing up in East Poultney, I love your paintings as it reminds me of images of days past. beautiful, esp. far end of the lake’s surface! Really just love this one.. we are all waiting for spring and can feel it here !